First off, if you’re working for an employer that offers traditional benefits, have you contributed what you hoped to your 401(k) or other retirement plan this year? The maximum contribution for a single person in a 401(k) plan, under the age of 50, is $18,500. For those over 50, catch-up contributions of $6,000 are allowed. Is there any wiggle room in your budget to try to sneak in some extra savings this year? If they are pre-tax contributions, you could save on your taxes this year. With Roth contributions, you pay taxes on the contributions today, and receive the money tax-free in the future. Are you enrolled in a high-deductible health plan? If the answer is yes, then you are likely eligible for a Health Savings Account (HSA) through your work benefits. (If you don’t know, check your health plan!) Money saved in these accounts is pre-tax and can be used toward medical deductibles, office visit co-pays and prescription costs. In contrast to a Flexible Spending Account (FSA), which is traditionally a “use it, or lose it” account, the HSA rolls over year to year. It presents an opportunity to pay for health care costs now … or later—even once you retire! You never lose the right to access this money for health care expenses for you or your family. Once you pass age 65, the money is yours to use as you want. At that time, you can withdraw your HSA funds for non-qualified expenses at any time, although they will be subject to regular income tax. You can avoid paying taxes by continuing to use the funds for qualified medical expenses, including premiums for Medicare Part A, B, C or D.
For a single person, the 2018 HSA contribution limit is $3,450. For a couple, it’s $6,900. Have you contributed the maximum? Did you know that you can also invest an HSA in the stock market? It’s another way to maximize contributions for the future. If you accrue health care expenses, as long as you keep your receipts, you don’t have to immediately withdraw your funds from their investment accounts, you can pay out of your checking account—but you can withdraw the investment funds at any point going forward. So, if you want to use your HSA as an investment vehicle, keep your receipts (and digitize them, if you are so inclined), and you can withdraw the money tax-free at any point in the future. What are some other ways you could lower your tax burden? The holidays are a time of giving—and charitable contributions are tax-deductible, too! There are all sorts of contributions that offer tax benefits: Donations of goods at charities like Goodwill, volunteering your time at organizations—including mileage or fuel costs, and traditional monetary donations. If you have kids, and would like to contribute to their education costs, you could make contributions to a 529 plan. A 529 plan is a savings account operated by a state or educational institution for college costs. You can’t deduct your contributions on your federal income taxes, but you might be able to on your state return if you’re putting money in your state’s 529 plan. 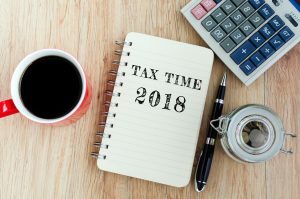 Another thing to take a hard look at while you’ve still got some time left in the year to change things like your withholdings is where you’ll fall in your individual tax bracket. Are there any ways you could position yourself better to owe less in the long run (and pocket it for your future)? You might be able to deduct contributions to a traditional IRA, though how much you can deduct depends on whether you or your spouse is covered by a retirement plan at work and how much you make. In conclusion, in many of these cases, itemizing, instead of taking the traditional deduction, could result in higher tax savings for you and your family. Remember that one size does not fit all. Your income, expenses and financial goals will vary from your friends, neighbors and colleagues’. Be sure to explore all the alternatives available to you and how they fit with your financial objectives. Contact a CFP® Professional for guidance on how to maximize your potential savings. A personal financial plan can help you with making your money work harder for you. Kelly Luethje is a CERTIFIED FINANCIAL PLANNER™ professional and founder of Willow Planning Group, LLC. She provides financial education and guidance to help you live life on your terms. Kelly can usually be found on a mountain, or by a lake, working virtually with clients across the country.